Larry Stone was elected Santa Clara County Assessor in 1994, and has been re-elected by large majorities five times. His constituency is larger than the governors of 13 states. San Jose Magazine named him one of Silicon Valley’s 100 most powerful leaders. He’s been a financial manager on Wall Street, served two terms as Mayor of Sunnyvale, co-founded a successful real estate investment and development firm and the Arts Council of Silicon Valley. Has Silicon Valley’s real estate “boom” peaked? Is a recession ahead? 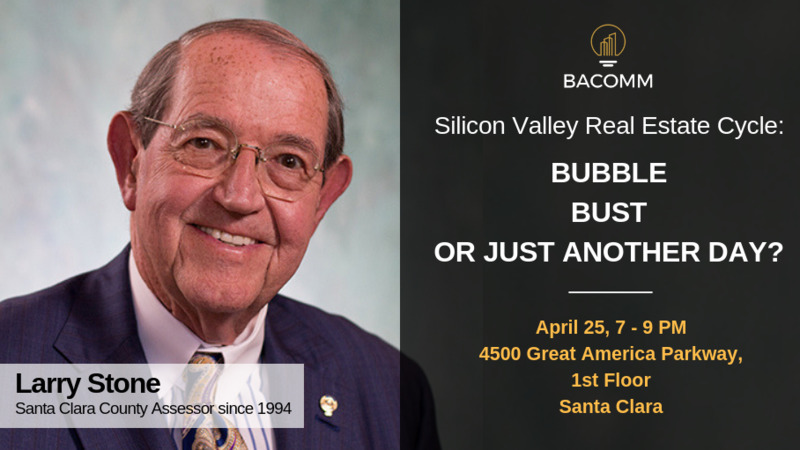 Larry Stone will discuss the current status and trends of Silicon Valley’s real estate markets from office, industrial and retail, to single-family and apartments, and the intriguing impact Millennials are having on our economy. - The current status of all property types including single family, apartments, office, industrial, warehouse, retail, and more. Wine and appetizer social starts at 6:30PM. 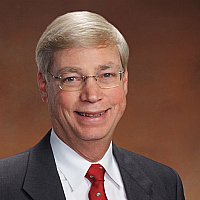 Douglas G. Duncan is Fannie Mae's senior vice president and chief economist. He is responsible for providing all forecasts and analyses on the economy, housing, and mortgage markets for Fannie Mae. He serves as the Chair of the Fannie Mae Corporate House Price Forecast Working Group. 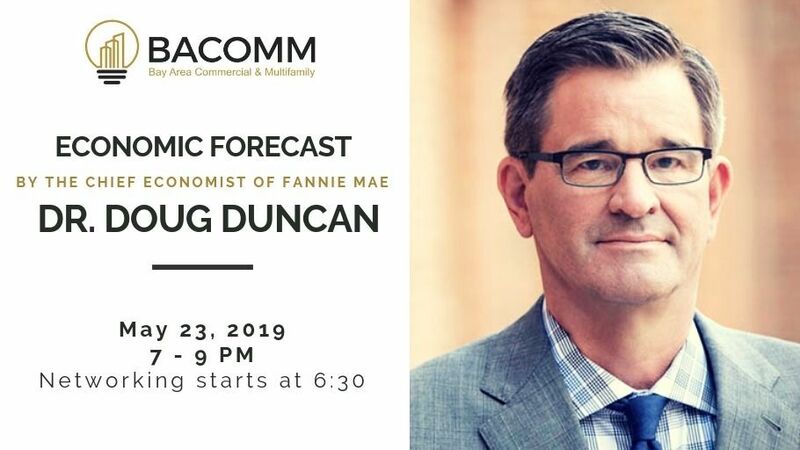 Named one of Bloomberg / BusinessWeek's 50 Most Powerful People in Real Estate, Duncan is Fannie Mae's source for information and analyses on forecasting for housing activity, demographics, overall economic activity, and mortgage market activity. By popular demand, we are bringing CoStar back to give a market update! Jesse Gundersheim is a market economist for CoStar, the leading provider of commercial real estate information, analytics and online marketplaces. 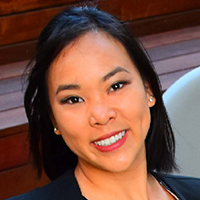 Jesse analyzes real estate tends and maintains market reports for the San Francisco Bay Area, helping investors and lenders minimize risk and maximize returns. 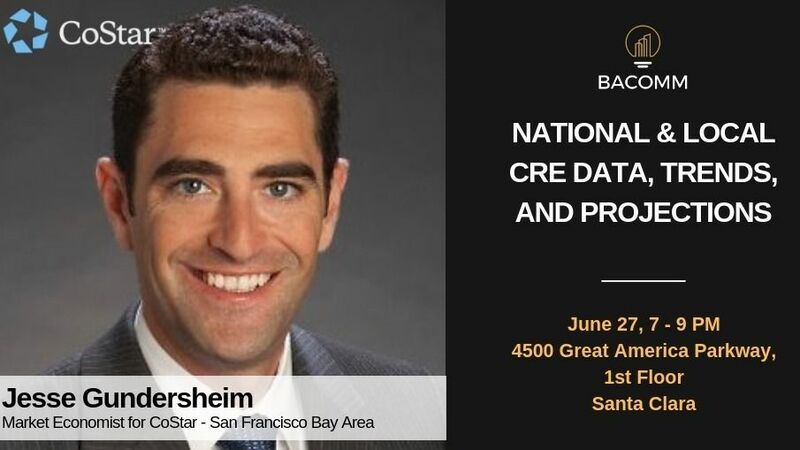 Jesse regularly speaks at industry events to discuss his findings, and has been quoted in the San Francisco Chronicle, San Francisco Business Times, Bloomberg, and BisNow. Jesse was raised in Marin County and studied finance at the University of Arizona in Tucson. Previously, he led Bay Area market research departments at the brokerage firms of Grubb & Ellis, Studley, and DTZ. Jesse has also worked for private apartment investors, providing due diligence and pro-forma analysis.